Just in time for Hanukkah! (Yes, really; for those of you not in the know, Hanukkah starts on December 2nd this year.) 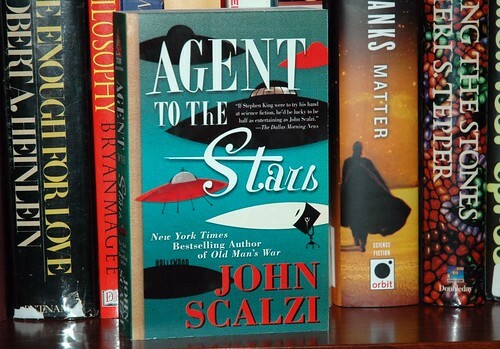 Today Agent to the Stars heads to the stores in the easy-to-love, easy-to-carry mass market paperback size, with a list price of just $7.99. And I think I adore this particular version of the cover (by artist Pascal Blanchet) most of all. Remember also that if you call up Jay & Mary’s Book Center, my local book store, and order it from them, I’ll go there in the next few days and sign it for you, along with any other books of mine you might be wanting to purchase. This is great for gifts, whether for others or for yourself. Because learning to love yourself is the greatest love of all. At least that’s what I’ve heard. And I believe everything I’m told in pop songs. Otherwise, it’s now available in your local book stores and of course on your favorite online book retailers as well. 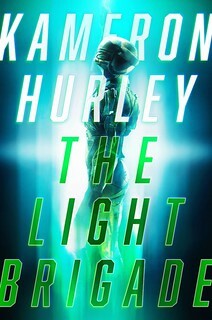 The cover is fantastic. It reminds me of the art from the Jetsons and the time period. :-) Love it! As for the e-Book, I’m happy to pay whatever price since it took you the same amount of blood, sweat and tears to write the book and get it published – no matter what format I choose to read. Vive de largo el escritor! Odd. I saw this on my local bookshelves last weekend. It’s not often we Canadians get an American release before the Americans. I’m still fine with my older, larger paperback edition though. Unless you’re J.K. Rowling or Stephenie Meyer, books often go up on the shelves when they get sent and unpacked, which means that titles may start showing up on bookshelves a few days before the official release date. Love the cove!!. Picked it up yesterday and am already halfway through it. 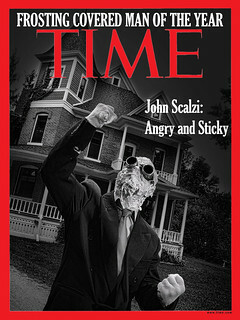 This is my favorite Scalzi book. Great stuff. You want us to wait to start kvetching? Clearly, John, you do not understand how the Internet works! Bah I still think the first cover is the best. Or Scott Westerfeld. I checked with my local store the Sunday before Behemoth went live and they had it in stock, but wouldn’t sell it until Tuesday. Actually, Hanukkah/Chanukah however you want to spell it, starts on December 1, since it starts the night before most calendars say it starts. 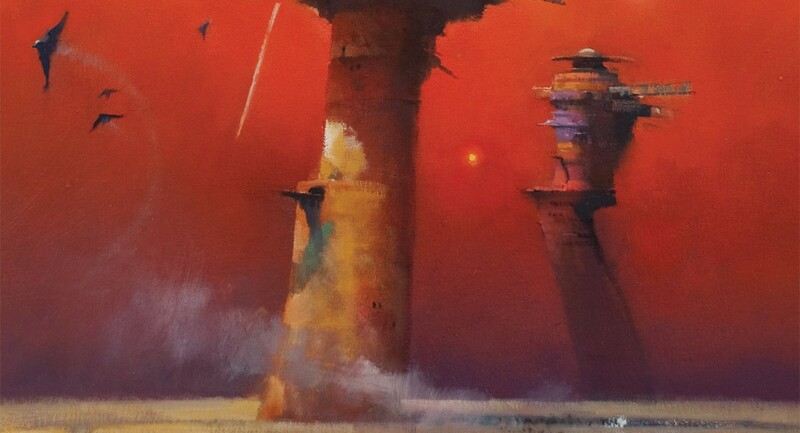 Whoa, Sigler reads Scalzi. Awesome. @mimiheart: I was just about to point that out as well, Hanukkah starts at sundown on 12/1 this year. 12/2 is the first _full_ day. ooooooooooo…. it is red and teal, close enough to Christmas colors for me. Still my favorite of all your books, John. I read it in an afternoon and my husband kept asking me why I was laughing. When I was done, I handed it to him and he spent the next day laughing. While it’s great to see the new edition of “Agent to the Stars,” I also liked seeing the HC of Heinlein’s “Time Enough for Love” right next door… bet your bookcases have *all* sorts of delightful treasures. Well, I was going to point out that Hannukah starts tomorrow at Sundown (aka the 25th day of Kislev), but that’s been done. So instead I’ll just “mazel tov” for the release of the mass market paperback edition of the book. Is it real mass market size, or that utterly obnoxious, extra 3/4″ tall, won’t fit on my mass market bookshelves, mass market size publishers’ve been foisting on us recently? Lovely book. I laughed myself sick (no really, I made this disgusting skronking noise and had to stop reading for a minute or two). I also got a little weepy in there, I won’t lie. Just finished Agent to the Stars (as e-book, bought it for my nook) and loved it. I am curious as to why it was never made into a movie?